We continue the “Deep Dive” series. In it you might find the answers to some of your technical questions. The industry experts will provide their insights on several topics and research some new features of most popular applications. Don’t miss out on the article about Administrative Audit Logging. The first article of the series can be found here. 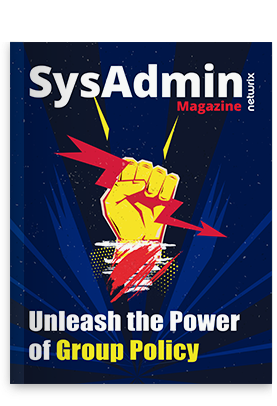 Also, read more about Exchange 2013 CAS configuration (Part 1, Part 2) and using PowerShell for RBAC permission customization! You are welcome for comments and discussion! Mailbox auditing is a very interesting feature of Exchange 2013 and it is one of the most important components of Exchange organization. Mailboxes may contain information which may be sensitive, personal, business or critical. Many of us, including me, do not have mailbox auditing enabled on our mailboxes in the organization. Often there is a need to investigate what action had taken place on the mailbox but there may be no logs. To avoid this kind of situation, we need to enable auditing needs on the required mailbox or on the set of mailboxes. Your VIP/Execute Mailbox was hacked and some crucial information has leaked out. It is important to determine who has accessed your mailbox and what action has been taken. You have multiple delegates on the VIP mailbox, and if some messages had been deleted, and there is an investigation on which delegate deleted the messages. If there is a group mailbox, and many people have access to the group mailbox, and in case someone has deleted the folder, and there is an enquiry as to check on who could have deleted it. AuditOwner – Information about operations performed by the mailbox owner. Mailbox auditing can be enabled using the cmdlet set-mailbox with the parameter AuditEnabled as $true. Auditing on every user mailbox in the exchange organization can be enabled by using the below PowerShell command. By default, logs are retained at the mailbox for 90 days and this retention period can be modified using the cmdlets set-mailbox with parameter AuditLogAgeLimit. Auditing of mailbox owner actions can generate a large number of mailbox audit log entries and is therefore disabled by default. Below snap has the default logging settings for AuditAdmin, AuditDelegate and AuditOwner. AuditOwner logging is set to blank by default. It is recommended to enable auditing only for the specific owner actions which are needed to meet the business or security requirements. Below is the PowerShell command to audit “HardDelete” for Auditowner. Below snap is the execution and verification of the same. Copy of the items/messages to another folder. Any message sent or received. Moving of email from one folder to another or deleted items folder. Message is sent using send AS or Send on Behalf permission. 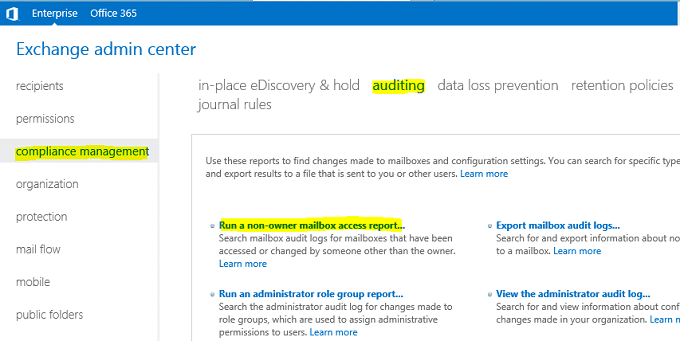 Mailbox audit log data is stored in a folder named Audits under the ‘Recoverable Items’ folder of the mailbox, so it is hidden from the user. Once auditing is enabled, you can perform search synchronously on the single mailbox or asynchronously searchon multiple mailboxes at a time. Search can be performed using the PowerShell or using Exchange Admin Central (EAC). Below PowerShell command allows to search the “SendAS” email logs for Admin and Delegate on the mailbox krishna.kumar and Rajesh.kumar. 2. Specify the date and the mailbox to audit and click on search button. As an administrator, you now have what you need for investigating the culprit. Hope you like this article and find the content helpful in tackling a real life situation.